Ugadi, also known as Telugu New Year is a Hindu festival that is extremely popular in South India especially in AP, Telangana, and Karnataka. Ugadi is celebrated a day after the first new moon on the spring equinox. The word Ugadi has its roots in two words – Yug and Aadi, the former meaning era and latter meaning a new beginning. Thus, the Ugadi marks a new beginning, a new arrival of an era. The festival is celebrated in high spirits. Celebrations include decorating the home with mango leaves hanging in front of the doorways, special prayers are conducted at Temples and homes. People wear new clothes and prepare a complete lunch menu replete with mouth-watery dishes. The highlight of which is Ugadi Pachdi – a hodgepodge of Mango, Neem, jaggery, Tamarind, chilly that represents the different flavors of life such as happiness, sorrow, anger, despair, and hope. Since Ugadi marks bidding farewell to the past and welcoming the future with a hope it will be promising, symbolically a lot of things happen around Ugadi. People who could afford would paint their houses, throw out worn out household items and replace them with new ones. What is unique about this festival is the hope it enshrines on the minds of people driving them to pursue innovative things. As the day stands for complete fun and fervor, we at Deccan Rummy want to add some extra spice to your Ugadi Kichdi in the form of Ugadi Special Tournament. The total prize pool of this tournament is Rs. 50,000 GTD. How good is that? This goes to show how customer satisfaction remains as the primary focus for Deccan Rummy.The tournament will be conducted on Apr 6 at 8 PM. Ugadi Tournament is a part of our special rummy tournament package. These tournaments bring multiple players across different regions under one roof to fight for the coveted prize pool. 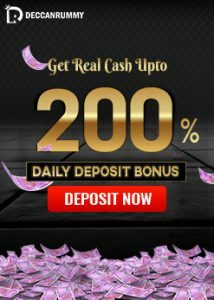 It’s considered auspicious to win on this special day and there is a belief that success on this day is considered as a good fortune for the upcoming year. 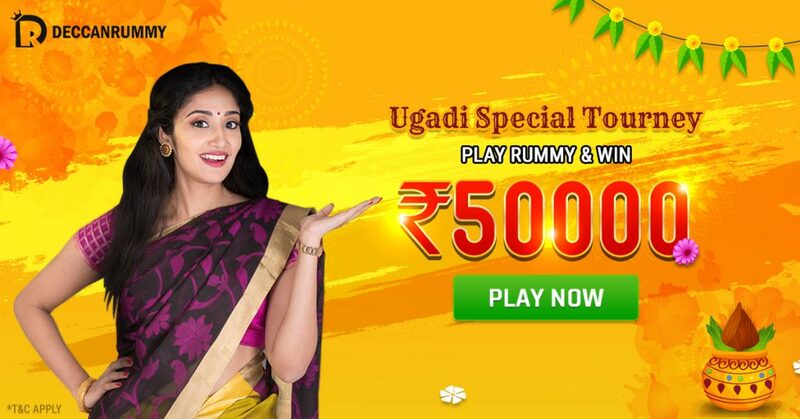 Deccan Rummy team is very excited for this lucrative Ugadi Special Tournament and wishes all the rummy players a very happy and prosperous Ugadi. Isn’t it wonderful to start a new year on a winning note? Wouldn’t we all want to make the first day of a year, a memorable one? We surely want to! 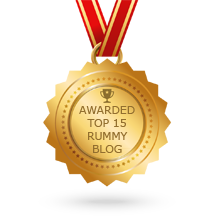 Come, display your rummy skills and ship home a giant share in the hefty prize pool. We are waiting for you in the tables! 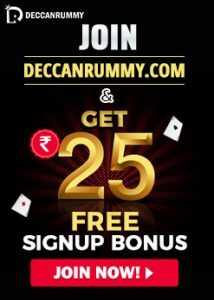 If you like to Play Rummy on the move, then download our Deccan Rummy Mobile App and play this tournament.